Aggregate: Gravel, crushed rock or sand used in pavement applications either by itself or mixed with asphalt. Asphalt: also referred to as bitumen. It is a sticky, black, thick liquid. It is a semi-solid version of petroleum. It can be found naturally or manufactured. Asphalt Cement: the “glue” in the asphalt mixture. It comes from crude oil. Asphalt Plant or Asphalt Facility: A manufacturing facility that produces asphalt. Asphalt Rubber Binder: Recycled, ground tire rubber. It is added to conventional asphalt cement. A little video demonstrating one of the many services we offer at Monarch Paving. 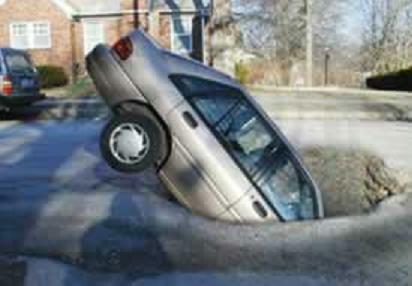 Potholes are caused by surface heating and cooling. The surface becomes weak and heavy traffic travels over it. It continues to wear away creating a pothole. Most cities including Vancouver, Burnaby, the North Shore and Coquitlam all have the policy of paving potholes with asphalt. This creates a quick, effective fix. The paving of potholes is necessary in keeping vehicles in running condition and to keep traffic flowing. This is just another way asphalt paves a cost effective solution to the city and surrounding area.